I've always thought archaeology was cool! When I had more money, I even used to subscribe to several archaeological journals to keep up to date on the latest news. It would be a thrill for me someday just be an ignorant laborer on a dig. 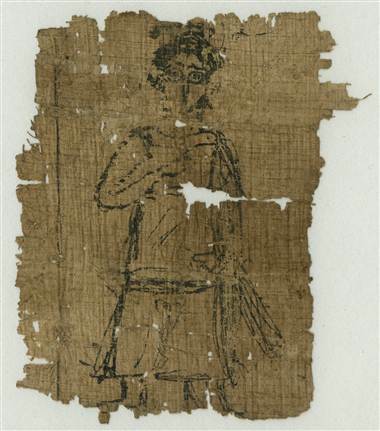 So it took me by surprise when I read HERE that the Egypt Exploration Society was looking for online volunteers to help decode the more than 500,000 papyri fragments they have in their collection. To be honest, the thing that really caught my eye was the funny picture of the goddess Agnoia pictured above. Agnoia is the Greek word for ignorance, so I don't think Agnoia was seriously a goddess, particularly since this picture came from one of Menander's comedies. But you never know about those wacky ancient peoples! 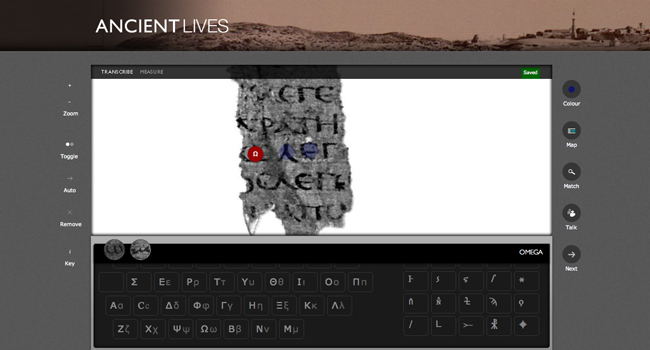 The texts are in Greek, but you don't need to know Greek, they have a handy interactive guide to help you decode. 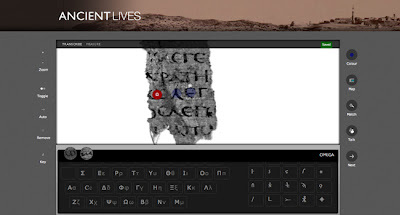 What they're really looking for is multiple sets of eyes to help them transcribe these ancient writings. Click HERE for more detailed instructions and to get started! I passed this on to a co-worker of mine. He also used to read the journals. Participating in that study would be a great activity during the long cold Ohio winter.